Sweet Potato Breakfast Bars – Easy 4 Ingredient Meal Prep Breakfast! You already know this: mornings can be hectic. But, most ‘convenience’ foods that we can grab-and-go aren’t so convenient for our bodies. Instead, enjoy the convenience of an on-the-go meal (that’s actually nutritious) by making your own healthy sweet potato breakfast bars! 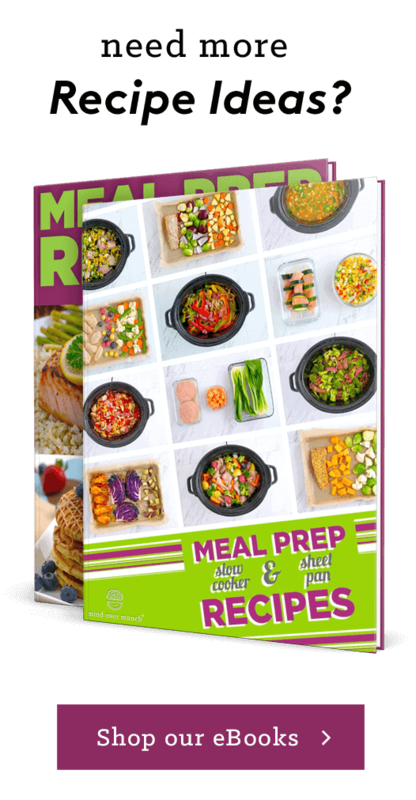 Protein bars, energy bars, meal replacement bars—everywhere you look in the grocery store today it seems like there’s some newfangled kind of ‘wonder bar.’ They’re marketed as convenient and nutritious foods that we can grab and eat on the go. But, most of these bars are just ultra-processed, packaged foods masked by deceiving health claims! 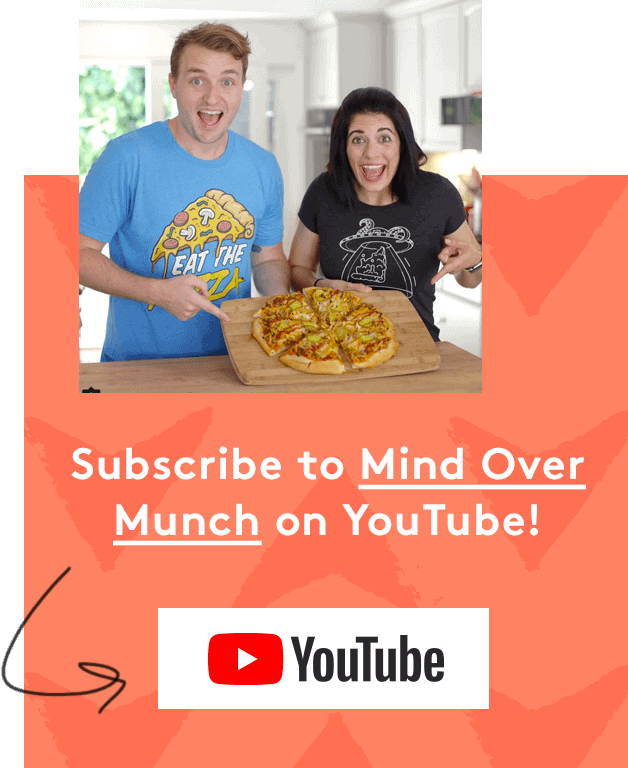 Many are loaded with additives like artificial flavors, colors, sweeteners, and preservatives—to the point they’re not exactly real food anymore. It’s SO easy and effortless to make fuel-filled versions of those sugar-laden, store-bought bars at home. 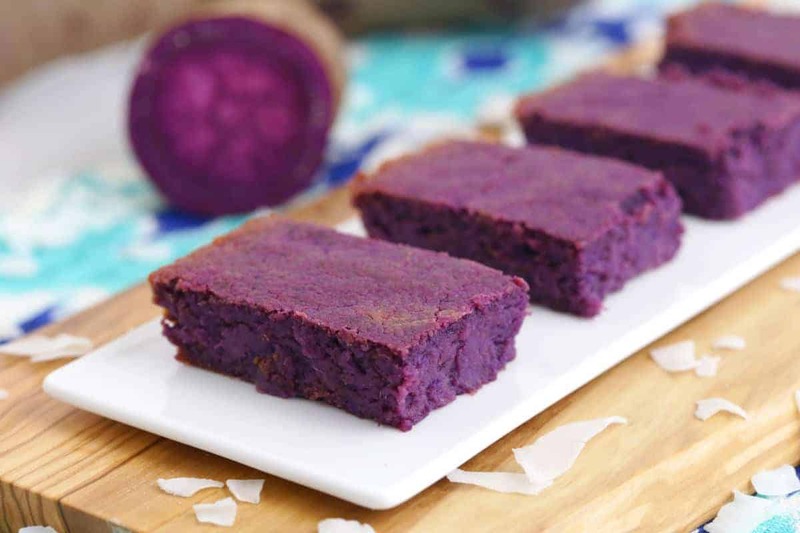 You only need THREE simple ingredients to make these sweet potato breakfast bars—mashed purple sweet potato, coconut butter, and cashew butter. And, each of these satisfying bars only has 2 grams of sugar! You can add sweetener if you like, but I personally think they don’t even need any. 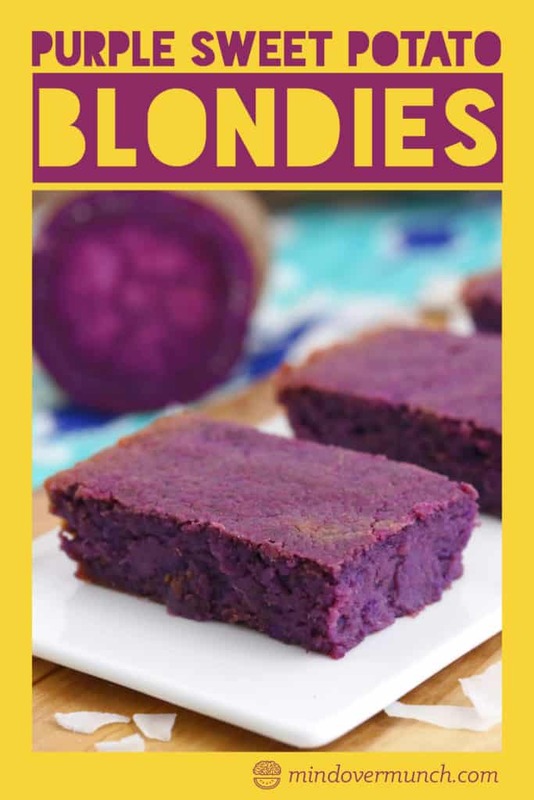 Rather than using dates or another dried fruit as the main ingredient, purple sweet potato makes up the bulk of these healthy breakfast bars. Sugary store-bought bars spike our blood sugar levels, which causes insulin levels to rise and leaves us feeling hungry—even though we just ate. 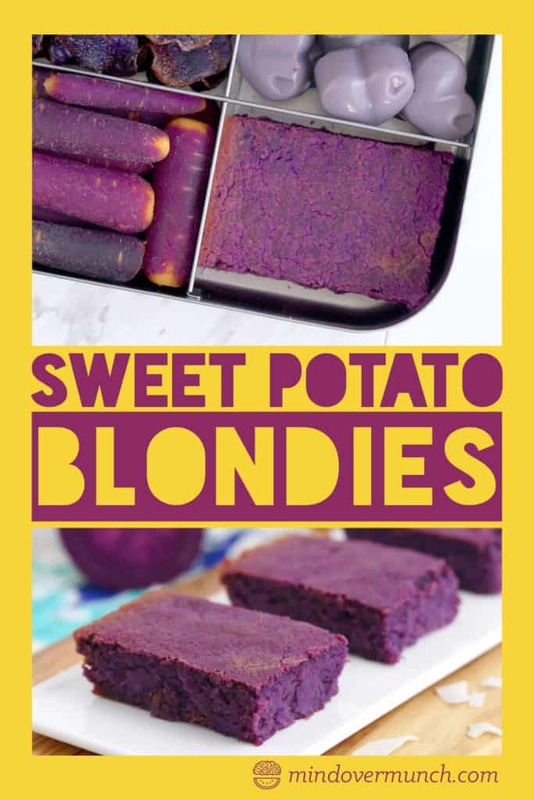 But, purple sweet potatoes are loaded with fiber and slow-digesting carbs to keep you feeling full until lunch. They’re also rich in rich in essential nutrients—like vitamin A, vitamin C, and manganese. 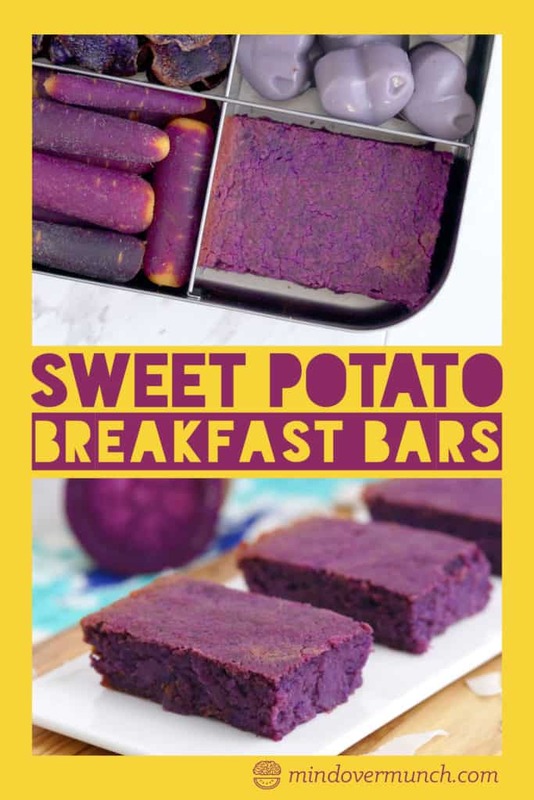 And, they give these sweet potato breakfast bars their gorgeous, ALL-NATURAL purple color! Sweet Potato Breakfast Bars, that TASTE Like Dessert! Plus, the satiating fats in the cashew butter and coconut butter give this meal a balance of wholesome nutrients. Coconut butter also has a natural sweetness, making your sweet potato breakfast bars taste like dessert! They’re soft, creamy, and luscious, almost like a blondie (the vanilla alternative to brownies). 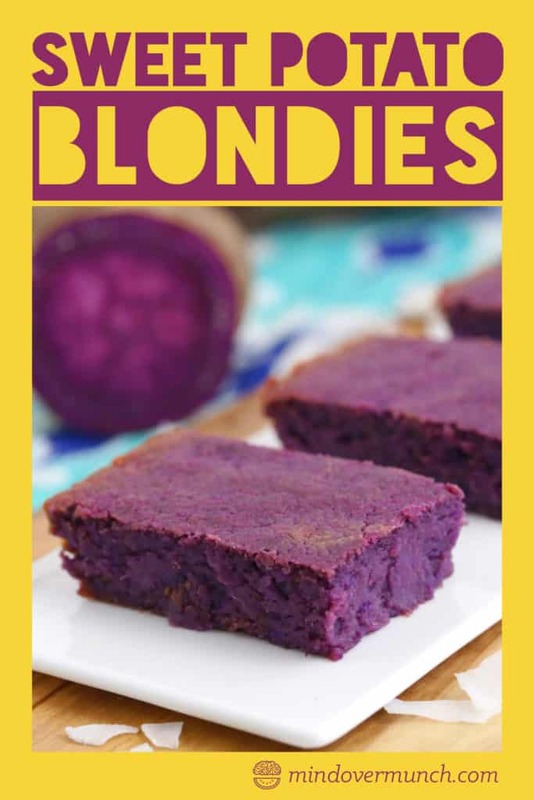 If you’re a blondie fanatic like I am, you’ll love these “PURPLIES!” You can bake up one batch and have an easy breakfast prepped for all week. They’re clean, vibrant, and convenient—a total win-win-win! In a double boiler, melt coconut butter and cashew butter. In a mixing bowl, add mashed sweet potato and melted butters. Mix until well integrated. Pour into a small glass baking dish (I used a 9×6-inch dish) lined with foil and bake for 30-35 minutes. Allow to cool completely before slicing. Refrigerate an hour before enjoying. *Per sweet potato breakfast bar: 8g net carbs.